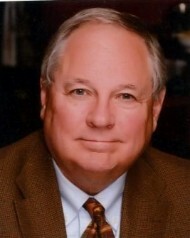 Glenn N. Holliman of Newport, Pennsylvania is a retired vice president of the Episcopal Church Foundation in New York and founder and president of Holliman Associates, a national capital campaign firm. A former teacher and school head, he holds an M.A. in American history from the University of Tennessee. Glenn serves as chair of the Perry County Bicentennial Committee, a board member of the Historical Society of Perry County and a former president of the Perry County Literacy Council. He is the author of several historical articles and two books “With Generous Hearts” and “Introduction to Planned Giving”. A Viet Nam veteran, his Pennsylvania roots go back to Daniel Boone, a 6th great uncle and Revolutionary War veteran himself. With his wife, Barbara, he travels extensively in the United Kingdom and Europe exploring ancestral roots.